Individually handmade by local artisans in Spain, the Menorquinas inspired Pons Sandals are made from high quality natural leather and offer a comfortable rubber sole. 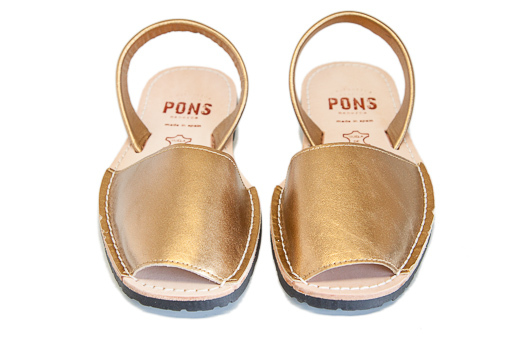 Our women's Classic Pons Avarcas in Metallic Copper give great warmth & shine with the guarantee that they won't rust! Treat them like a shiny alternative to when you would normally snag a pair of brown sandals.